Activity before New year | PARE MEMBERS' CHAT ROOM! Nearby to the new year , I feel the time pass very fast from the first arrival date until right now about four months in Sapporo. Thus I would like to say that goodbye the old year and welcome the new year . And activity in every laboratory indispensable is party. For year-end party in my laboratory, we went to “Toriyosakanayo”. This restaurant has various foods in menu for your choice. 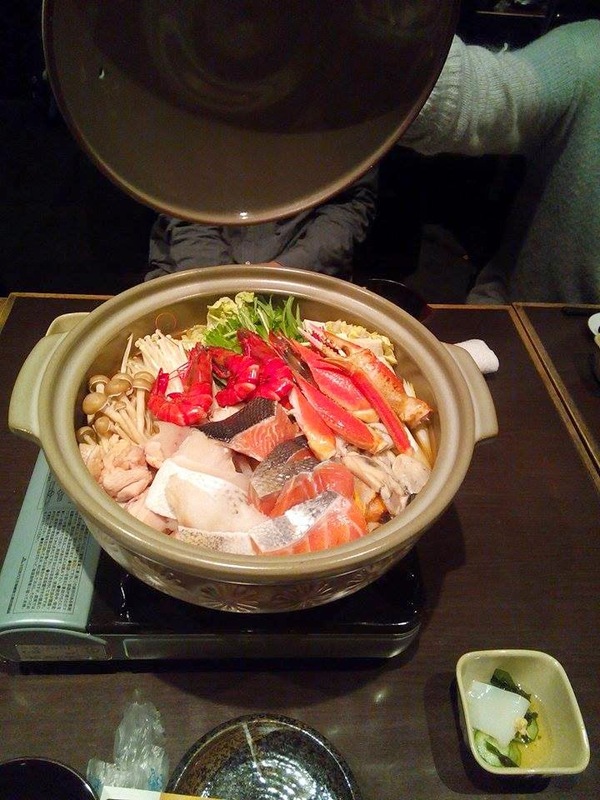 Our orders were Nabe, Sashimi, Salada, Tsukemono, Salmon karage and other. And if you want to go to there, it is located at north3, west2. It have be an enjoy day because everything are very tasty “とてもおいしい”. When the last week, Our Plant Nutrition laboratory has big cleaning. My staff told me, they usually have big cleaning once a year. It has been doing this time before the new year. We usually have small cleaning every week on Monday. Big cleaning is not just clean up but it is demonstrated the cooperation of us. Then thing at you think it difference contract it easily for us. This work was enjoy, we (Japanese, Chinese, Indonesia and Thailand people) helped to do big cleaning together. Second experiment is Screening of aluminium(Al) tolerance of rice and barley root. Koshihikari is famous rice cultivar in Japan for this experiment. Those were take longer than one week. The First, Seed of rice and barley surface sterilize in sodium hypochlorite and wash with water. And start soaking only rice seed for three days. Germination on a nylon screen placed in 0.2 mM CaCl2, pH 4.9 at 28°C for three days. And measuring root growth elongation before transfer to aluminum solution. Seedling were transferred to 10 µM AlCl3 , pH 4.9 at 28°C include CaCl2 and prepare with CaCl2 was controled treatment for one day. After treatment measured root growth elongation for calculate in RRE (Relative root elongation) value. For the result, Rice has more RRE value than barley because root of rice growing more than barley in Al stress. Thus, Rice is more Al tolerance than barley cultivars.